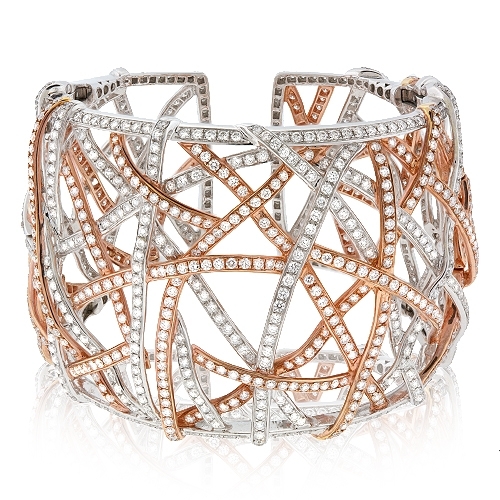 Brilliant white diamonds set in a wide cuff bracelet of 18k rose & white gold. Diamonds approx. 15.65ct.